Home . Publications . Is March of Dimes Pro-Abortion? Is March of Dimes Pro-Abortion? The March of Dimes campaign kicked off National Prematurity Awareness Month in addition to naming November 16 National Prematurity Awareness Day. The obvious implication is that the March of Dimes knows some things about premature births that it wants to share. However, this "awareness" campaign has a hidden secret: Scientists have long been aware of one factor influencing prematurity that seems to have escaped the March of Dimes' attention. That factor is abortion. The incidence of premature birth – one that occurs before the 37th week of pregnancy – has been steadily escalating in the United States for more than two decades. In 1981, the rate of premature birth was 9.4 percent; in 2002, it was 12.1 percent – a figure that represents one in eight births. These 480,000 babies are at higher risk of requiring hospitalization, developing long-term health problems (particularly cerebral palsy) and/or dying. In fact, approximately 100,000 premature infants will develop health problems, and premature birth is the leading cause of death in the first month of life. 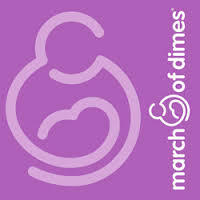 The March of Dimes has run national campaigns, spending upwards of $75 million, placing television, radio and print ads in an effort to increase the number of people who consider premature birth a serious problem – from 35 percent in 2002 to 60 percent in 2007. The campaign sought to reduce the rate of premature birth by 15 percent, from 11.9 percent of all births in 2001 to 10.1 percent by 2007. Additionally, the March of Dimes funds research designed to find causes of premature birth, and attempts to educate families about the warning signs of and possible methods of preventing premature birth. The March of Dimes web site includes an online petition to members of Congress requesting increased federal funding for these and other related activities. What the March of Dimes fails, or neglects, to mention as part of its educational efforts is the connection between abortion and premature birth. In its efforts to "find out what causes it and how it can be stopped," the March of Dimes is overlooking a significant risk factor. Dr. Malcolm Potts, an abortion supporter, wrote in 1967 that "there seems little doubt that there is a true relationship between the high incidence of therapeutic abortion and prematurity. The interruption of pregnancy in the young [under 17] is more dangerous than in other cases." Professor Barbara Luke, a highly regarded author in the field of obstetrics at the University of Michigan, noted, "If you have had one or more induced abortions, your risk of prematurity with this [current] pregnancy increases about thirty percent. If they [previous abortions] were done during the second trimester, after 14 weeks, your subsequent risk of prematurity is greater than if they had been done during the first trimester." At least 16 studies, including one published in the prestigious New England Journal of Medicine, support Luke’s claim that a previously induced abortion elevates the subsequent risk of a premature birth. The March of Dimes fails to educate women that the procedures used for abortion involve artificially dilating the cervix in order to suction the contents of the uterus – the child in the womb – and that this leads to a higher incidence of incompetent cervix – the inability of the cervix to remain closed and support a continued pregnancy. The March of Dimes also fails to include in its educational outreach that University of Wisconsin researchers found the risk of infection is higher in women who have had an abortion, and these types of infections are linked to a higher risk of premature births. In 1992, Dr. Janet Daling, an abortion proponent, and her colleagues reported, "our findings indicate that an abortion in a woman’s first pregnancy does not have the same protective effect of lowering the risk for intrapartum infection in the following pregnancy as does a live birth." After an induced abortion, the risk of infection in a subsequent pregnancy increases by 140 percent. The March of Dimes does acknowledge there is a disproportionate rate of prematurity among black women than any other race or ethnicity. But, again, the organization has said nothing of the impact abortion has on this statistic. While black women comprise only about 12 percent of the U.S. female population, black women have 35.2 percent of all induced abortions. In 1987, it was reported in the New England Journal of Medicine that "black women with two previous induced abortions had a 91 percent higher risk of a subsequent preterm birth than black women with no induced abortions." Furthermore, the study noted, "black infants remain twice as likely as white infants to die during the first year of life." In a study of children in Atlanta concluded the same year, it was reported that 10-year-old black children had a 30 percent higher prevalence of cerebral palsy than did 10-year-old white children. Despite the fact that studies have shown a significant increase in premature births among women who have had abortions, most clinics rarely, if ever, list it as a risk on consent forms. Neither are women seeking abortions verbally informed of this risk. The result of this lack of information is that women and newborns are put at risk of premature birth and the associated health consequences. Granted, not all post-abortive women suffer preterm delivery in subsequent pregnancies and not all premature infants are born to mothers who have had abortions; however, the March of Dimes claims that of the 480,000 infants born prematurely, almost half fall into a risk group for which no cause is known. Research certainly suggests that one cause may be far better known than the organization is willing to admit. If the March of Dimes is going to spend $75 million on a "campaign to help families have healthier babies," perhaps it is time it looks at research already conducted and acknowledges the connection between abortion and premature birth. At the very least, it should explain why it has chosen to exclude potentially life-saving information – especially since it says it is "walking for the health of ALL babies." To find out information about other organizations and their positions on abortion, please visit the ALL research page: Organizations’ Positions on Fetal Research.